With the new Villager AI comes new possibilities. Villagers would have a double chest's inventory worth with no hotbar. 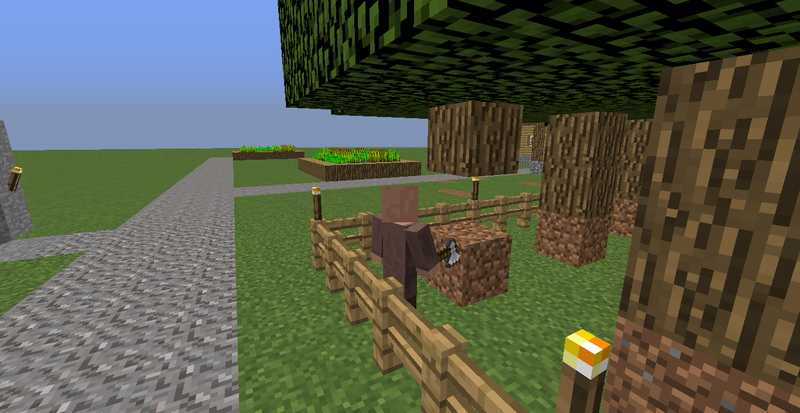 If a villager uses a tool or places a block, they will be shown holding the item. Villagers will be able to sort trash and throw it away. Trash will be any block that no villagers use, buy, or sell. Villagers will also start off with certain items depending on their type. In order to heal, Villagers will buy food and eat it. ALL villagers would buy all types of non poisonous food even when I don't specify. They can also buy potions of healing from the player. 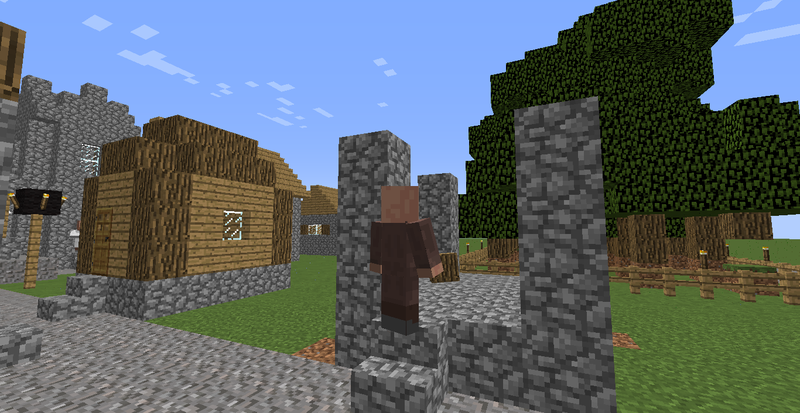 Villagers will now only sell what they have in their inventory, and only buy if they have enough emeralds. This includes when they trade with other villagers. In this idea villagers would trade with each other. An example of this could be priests (or clerics) could convert some of their spawn emeralds into iron and sticks. They would then sell these to a blacksmith who would then craft them into a pick.The blacksmith would then sell the picks to a miner who would mine and get some iron and coal and sell it back to the blacksmith. The blacksmith would then create an axe and sell it to a lumberjack who would get wood and sell it to the blacksmith. The blacksmith could then make hoes for the farmers and sell it. The farmers would then sell bread to the village and sell some wheat to the butcher who would raise and kill cattle. 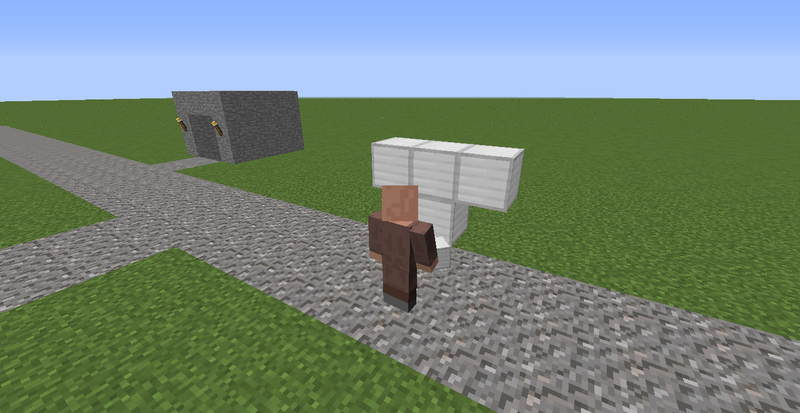 Now that the village can heal, a builder could buy 4 iron blocks and a pumpkin to build an iron golem. Miners would be able to mine stone and ore. They would be able to craft nothing and smelt nothing. They would buy pickaxes and sell ores and stone. 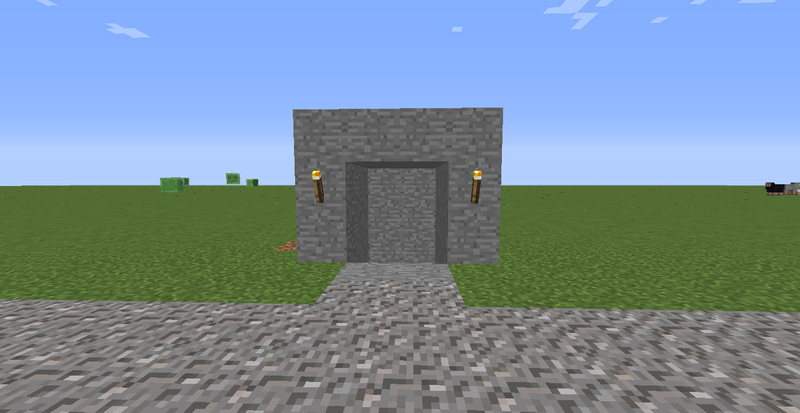 In order for miners to work there would be a new building called a mine shaft, which would always spawn in a village. The mine shafts would basically un-abandoned heading down to levels 10-16. Miners would branch mine the hole level 10-16 arena under the village. So the villagers could get emeralds, emeralds would be 4 times more common under a village. Lumberjacks would be able to craft wooden blocks/raw materials. They would be able to smelt nothing. They would buy axes and saplings. They would sell logs, apples, and wooden blocks/raw materials. In order for there to be a lumberjack, a new building would always be in villages called a tree farm. In a tree farm 9 oak trees would be planted equally apart. Whenever a tree grew, a lumberjack would come and cut it down then wait for the saplings to drop. Once they have dropped, the lumberjack would replant the tree in the exact same spot. Builders would be able to craft glass planes and only smelt sand into glass. They would be able to buy whatever building materials they were going to use in their next project. Builders would be able to build things (without expanding boundaries) such as new buildings (only utility ones), new farms, new animal pens, and iron golems. Fletcher would not be able to buy, sell, smelt, or craft anything with the exception of buying bread. They would have no inventory and would always hold a bow and wear leather armour. They would have infinite arrows and attack zombies from the rooftops of buildings that give access to the roof. 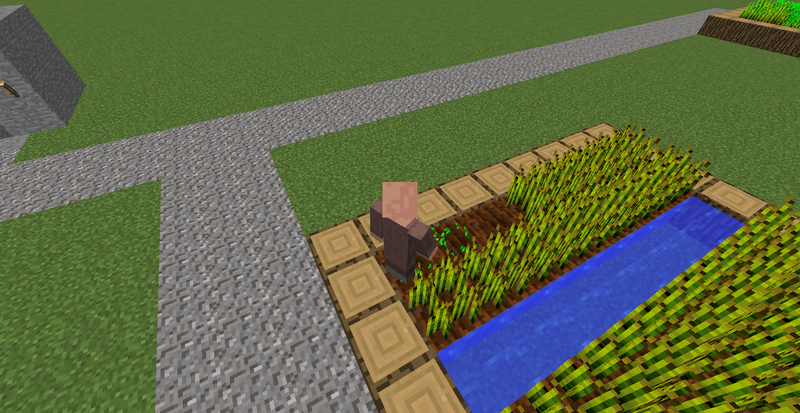 Farmers would be able to craft bread, seeds, and melons. They would be able to smelt potatoes. Farmers would buy hoes and sell bread, wheat, seeds, and other edible crops. Farmers would plant and harvest crops. Butchers would craft nothing, and smelt raw food. They would buy wheat, seeds, and carrots. They would sell all steak, pork, and cooked chicken. Butchers would have new buildings called pens. These would contain 2 pigs, chicken, or cows. Butchers would breed the animals in the pens and once there was 5 of an animal kill them until 2 were left. Fishermen would craft Fishing Rods. They would buy sticks, and string. They would sell raw fish, junk, and treasure that they catch. They would only spawn in villages on a coast or near a body of water. If they spawn in a village they will have a new building, the fishing dock. It would be a flat would structure on a body of water connecting to land. 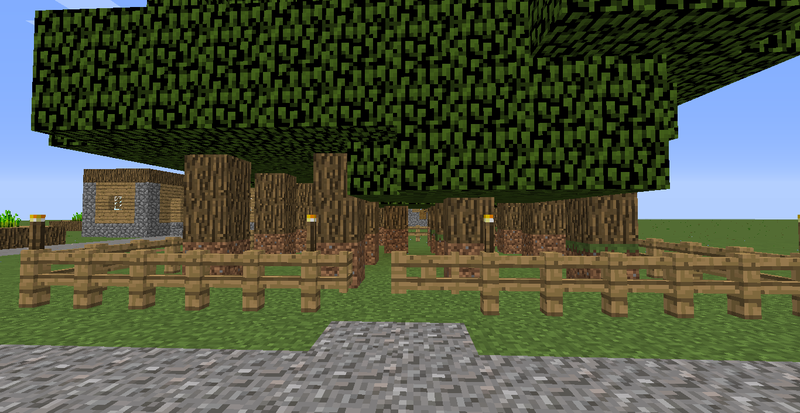 More expanded upon villagers soon to come. If you disagree with anything (such as me removing some trades because no other villagers would use them) then please comment, this is the community's thread not mine. So would miners grief the land? imo this is unnecessary, all this going on independent of the player and has no purpose. 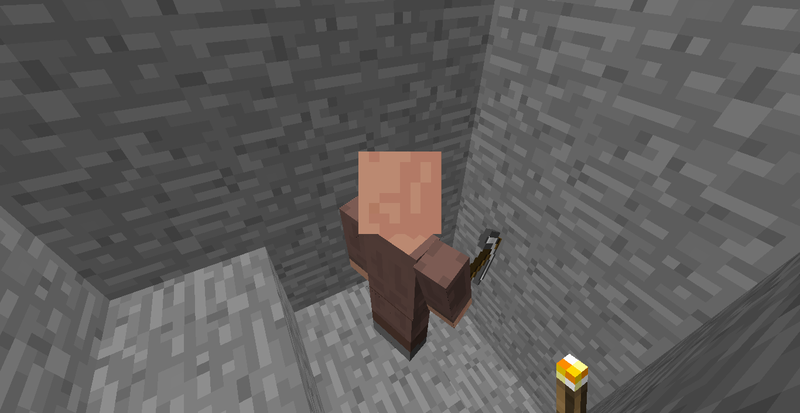 Horribly vague, you don't even explain how miner villagers would mine. Would they make 2x2 tunnels? would they place torches? Would they make staircase mines? Would they make branch mines? I really like this idea, and I'd love for it to be implemented. Although, in my opinion, the miners should dig a 3x3 shaft down to level 11, and then start digging 3x3 shafts, and placing supports like in abandoned mineshafts, but not abandoned. Overall, support! I think this would be really cool. 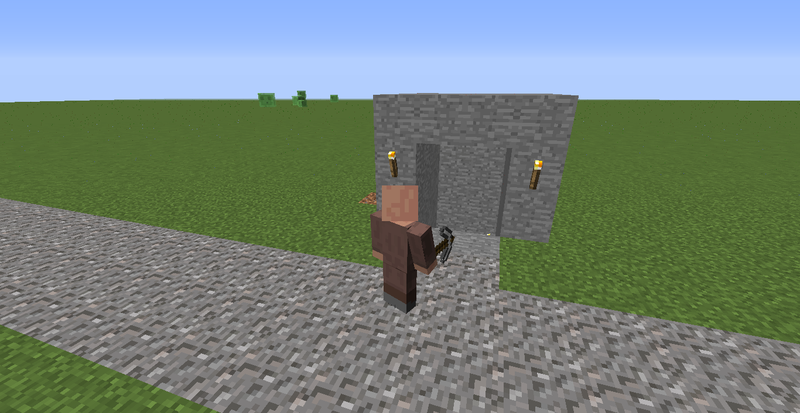 i've heard that on a snapshot villagers "actually do things" i thought of this as harvesting wheat and building golems using blocks. it was a funny coincidence that i run into this topic. In 1.8 they've already overhauled the villagers so another complete redo is not going to happen anytime soon, but I think that many of these concepts are good ideas and I love the direction Mojang is headed with the Villager AI. I think it's fabulous. However, since I don't agree with all your concepts (such as hunger) because they would break automated machines such as iron farms, I can't give my support. Some of this is going to be added in 1.8. Villagers will harvest crops, make wheat into bread, give other villagers food, will only breed if they are "willing", etc. Golems are also getting a higher spawn rate and get a buff. I read this on the Minecraft wiki today. hey i changed it so instead of having hunger eating could simply heal them, anything else you dont agree with? I like your fix regarding the hunger, makes sense in my opinion and doesn't break any game mechanics. Also, gives the villagers a way to heal other than finishing all there trades (I'm not sure how they get healed now in 1.8 as the final trade thing was changed). I think that the Miners might be a bit OP and could possibly lead to bugs and uncontrollable grieving. I like that idea to be honest, but I don't know of a way to balance it. Perhaps, if near extreme hills, villagers get the ability to seek out emeralds through naturally generated blocks, not interacted with by players? Or perhaps a naturally generated mineshaft for villagers in villages with a ladderwell leading down to a branch mine at level 11 (to avoid lava) where villagers can only dig out a certain area away from the village. They would dig the staircase to level 11, then dig shafts all around, so that they could get emeralds, as well as any other ore.
i like your idea for the mine, maybe instead of it being like a well it could be like a non abanded mineshaft but otherwise being like yours? Ya, I wou suggest that miners cannot extend the branch mine past the current village border (or cannot go X blocks past it). Just to limit their impact on the surrounding area. Agreeing with Caldemar, miners shouldn't be able to go past their village border. Otherwise, it would be very annoying. Same with lumberjacks too. sounds like a good idea to me do you think it should it be they cant mine out of their city boundries or a certain amount and if so, how much?p.s. does anyone know how to add a poll on a 3ds?